HÀ NỘI — The state treasury of Việt Nam plans to issue government bonds worth VNĐ50 trillion (US$2.24 billion) in the third quarter of 2016. The treasury will issue three-year bonds worth VNĐ5 trillion, five-year bonds worth VNĐ22 trillion and seven-year bonds worth VNĐ10 trillion. It will also issue 10-year bonds worth VNĐ2 trillion, 15-year bonds worth VNĐ7 trillion, 20-year bond worth VNĐ1 trillion, and the longest term of 30-year bonds worth VNĐ3 trillion. According to the treasury, the capital mobilisation from G-bonds in the first half of the year was effective, selling bonds worth more than VNĐ182 trillion, nearly 83 per cent of the initial plan for the entire year. After the first half, the treasury decided to add bonds worth another VNĐ30 trillion - bringing the total for the year to VNĐ250 trillion. While the G-bond mobilisation was considered successful, the process of the G-bond capital disbursement was slow and failed to support the GDP growth in the context of low economic growth in the first six months, according to the planning and investment ministry (MPI). 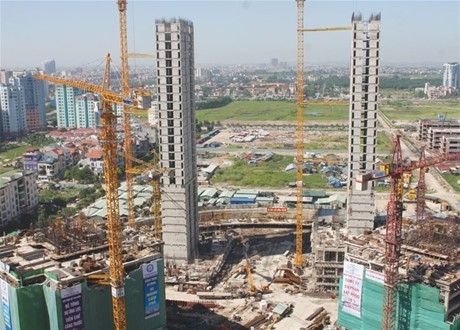 The MPI said all ministries, sectors and localities disbursed about VNĐ81.8 trillion of public investment capital in the first five months of this year, completing 32.6 per cent of the disbursement plan for 2016. The MPI said complicated procedures and slow processes in some ministries and localities caused the problem. Some with the lowest disbursement percentages included the national defence ministry with 9.8 per cent, Hà Nội City with 2.9 per cent, Phú Thọ Province with 2.6 per cent and Tiền Giang Province with 2.3 per cent, besides Sơn La Province with 1.1 per cent.